A self-portrait of Michelangelo Buonarroti has been found in a work that's nearly 500 years old. The sketch was of a close friend of his, in which the painter left a trace of his own self. 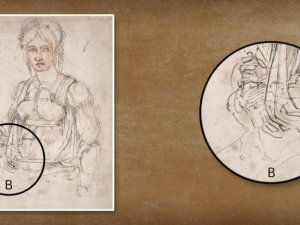 Latest materials as well as topics about Michelangelo. Find out about stories, mysteries as well as useful advice when it comes to Michelangelo. Get the latest news along with articles on Michelangelo.